As an electronic procurement platforms, SeaPort-e is designed to streamline and automate the acquisition of critical professional services. Procurement professionals can use SeaPort-e to competitively acquire best-in-class services in a variety of disciplines. NSWC Dahlgren is the central SeaPort-e contracting office with each Activity issuing task orders independently. Mindstar Aviation is a leading developer of flight simulation software and hardware. The company provides advanced and affordable turnkey solutions for the general aviation market as well as more advanced custom solutions to commercial customers. Mindstar is based in the Washington, DC metro area with headquarters at Leesburg Executive Airport (KJYO) in northern Virginia. Mindstar is a software developer of simulations for aircraft systems and avionics used in professional flight simulators and home-use aviation training products. Mindstar Aviation software is used onboard certified professional flight simulators worldwide. Mindstar also specializes in cockpit-specific aircraft system simulations such as electrical systems, hydraulic systems, pneumatic systems, etc. Mindstar products are utilized in both the military and intelligence communities. Avionics products include the Garmin G1000, Rockwell-Collins Proline 21, Avidyne Entegra, and a variety of other avionics such as autopilots and GPS units. The simulated aircraft range from a simple single-engine piston trainer, up to King Air turboprops and Citation business jets. Objective Area Solutions (OAS) is an Innovation company that focuses on developing solutions to the public sector’s most challenging people issues. OAS achieves optimum team and organizational performance by utilizing the latest in group dynamics, adult learning, design thinking, and performance and process improvement principles. Their consultants have extensive and diverse experience, including work in the US civil service, military, intelligence, private, and international sectors. Core capabilities include organizational development, cross-cultural management, and training solutions. Objective Area Solutions, LLC is capable of supporting projects across a variety of government functions but has particular focus on public sector initiatives with an international component and/or which operate in an expeditionary environment. Objective Area Solutions is a Service-Disabled Veteran-Owned Small Business (SDVOSB). Founded in 1993, the Safety Research Corporation of America (SRCA) is a Woman-Owned Small Business (WOSB) located in Southeast Alabama. SRCA provides information technology services including software design and development of database applications, websites and graphic design services utilizing industry standards. SRCA also provides technical support to various commercial and government entities in the form of management assessment programs, computer-based training, technical publications/manuals and educational training services. SRCA has a proven record of accomplishment providing quality services and products to both the United States Military and Federal Government. Our talented team of Project Managers, Programmers, Database Developers, and Graphic Artists possess the expertise and resources necessary to deliver products that represent the highest professional standards on time and at a reasonable cost. SRCA and its employees have extensive experience working with Fortune 500 companies, schools, organizations, associations and government agencies of every size, working on everything from one-time assignments to long-term campaigns. SRCA works directly with each person, to help them build the capabilities and programming competencies that produce outstanding results. 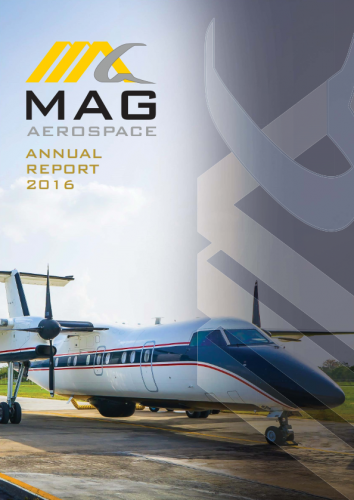 MAG’s 2016 Annual Report highlights our expanding capabilities, customers, and contracts as one of the fastest growing companies in aerospace, defense, and government services. The Report summarizes MAG operations, training, and technical services worldwide as the leading independent provider of manned/unmanned full-spectrum outsourced ISR services.